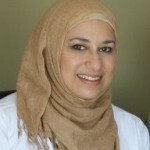 Canadian Muslims are average citizens trying to do their best in their daily lives. At the same time they feel that the negative news in the media is casting a shadow on their integrity. The wrongdoings of groups and individuals around the world does not speak for a faith of 1.4 billion followers or the one million Muslims who call Canada their home country. However, when news pertaining to a single faith keeps popping up in the media, then the burden of the conscious, caring, and peaceful holders of that faith is felt. People of conscience are always engaged, on a mental and physical level, on the ‘hows’ of tackling with current issues in the community. One of the methods of tackling the adversity was through a united simultaneous message which was stated in Toronto, Ottawa, London and Kingston on January 31, 2015 at precisely 1pm in public locations to denounce atrocities done in the name of Islam. Canadian Muslims and people of other faiths and non-faiths gathered to share and care by bringing items to donate to the local shelters. “There are so many ongoing negative things like ISIS impacting us and hitting close to home like the incident in Ottawa and the Via Rail plot. We are being told we don’t belong here but this is the only place we have to go,” stated Saleha Khan from London, Ontario. The feeling of frustration reverberated throughout the various communities and the following people organized the events in their respective cities: Shahzad Mustafa and Anela Janunandan from Toronto, Saleha Khan and Imam Abdl Fatah Twakkal from London, Mohammed Saleem and Mohammed Bayoumi from Kingston, and Amira ElGhawaby and Imam Sikander Hashmi from Ottawa. 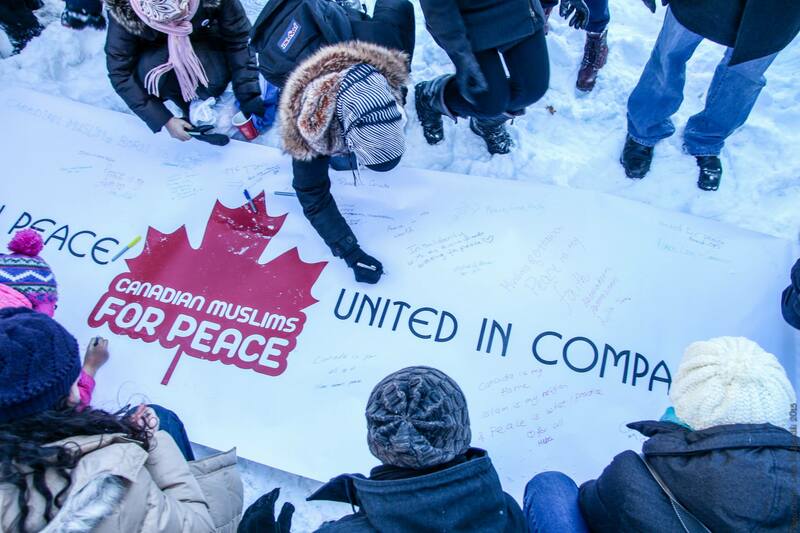 The name ‘Canadian Muslims for Peace’ represents precisely the aim of the effort and by whom. All Canadian Muslims appreciate peace and want peace now and in the future. The theme of the event was ‘Unity in Peace, Unite in Compassion.’ The gathering brought out hundreds of concerned citizens, faiths and non-faiths, province-wide despite the frigid temperatures. Participants brought with them blankets, comforters, hats, scarves, and mitts to donate to the shelters in their cities. The warm beverages, talks of compassion, and collection for the local shelters created a gathering which did indeed create a feeling of hope and unity for humanity. The gathering spoke loudly about the fact that we are Canadian. we are Muslims and we are peaceful. “The reason we want to do this is, if we don’t look after our own home then who else will. “ said Saleha Khan. Canadian Muslims for Peace will be continuing the effort of aiding local organizations in need on a routine basis throughout the year. Despite the challenges, Canadian Muslims have great spirit and resilience to the negativity as we can see in the myriad of services, activities, events, and programs, Muslims across Canada are involved in to help better society. Canadian Muslims greatly appreciate the peace, stability, and freedom we are blessed with in Canada. Canada is a beautiful country consisting of beauty in nature, in its people and system. May God always protect Canada and may God grant other countries stability and peace.